Hawaii's fiscal situation makes a tax increase almost guaranteed in 2017. Power to the Positive is a free concert with the goal of promoting unity at the start of a polarizing administration. There are a lot of people anxious over what will happen in the US under soon to be president Donald Trump. 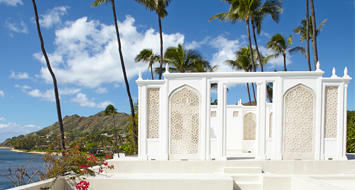 And the point has already been made that for Hawaii, what happens in Washington may be a crucible of sorts for Hawaii. 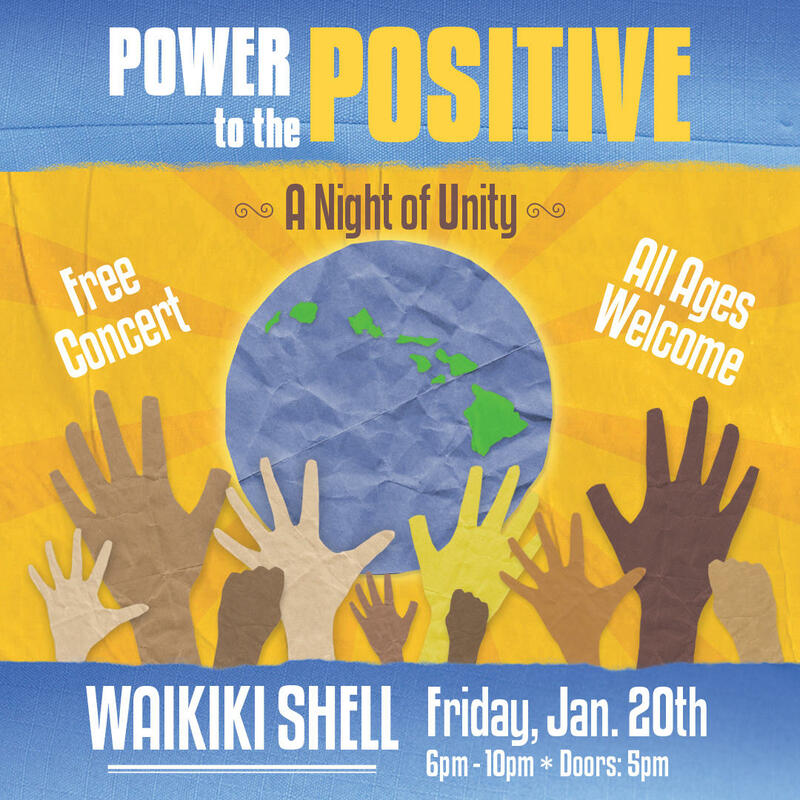 The challenge is how to shift power to the positive….That’s the purpose behind tomorrow’s rally and concert at the Waikiki Shell. Tim Vandeveer chairs the Democratic Party of Hawaii. You never know just where your training as an actor is going to take you -- and sometimes, it can get things moving pretty fast. That’s the way it has been for Kaiwi Lyman-Mersereau, a 2002 graduate of the Mid-Pacific School of the Arts, since graduation. 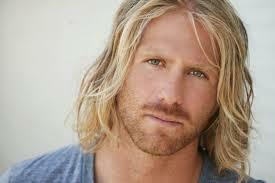 He has the lead role, with Bruce Dern and Denise Richards, in "American Violence," a thriller that opens next month, and he’s now in Atlanta doing tactical weapons training for another movie. 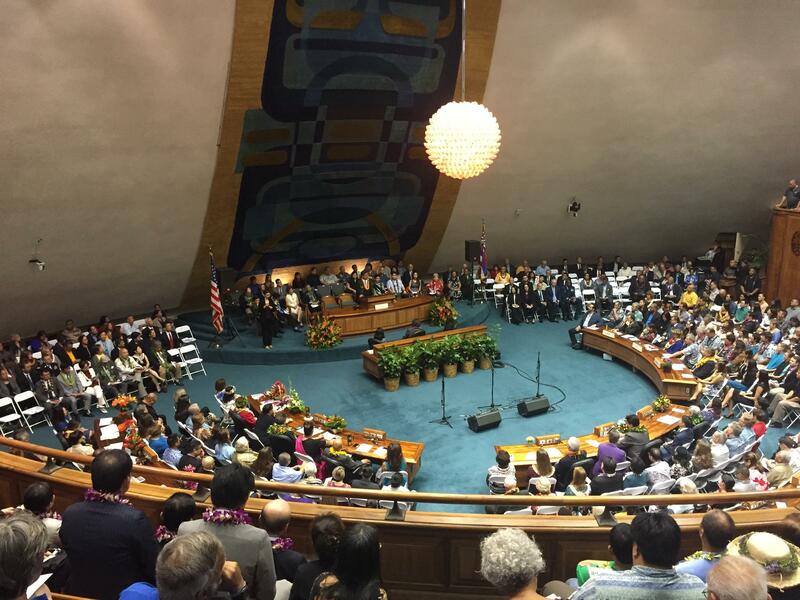 Senate President Ronald Kouchi addresses the State Senate on opening day of the Legislature. 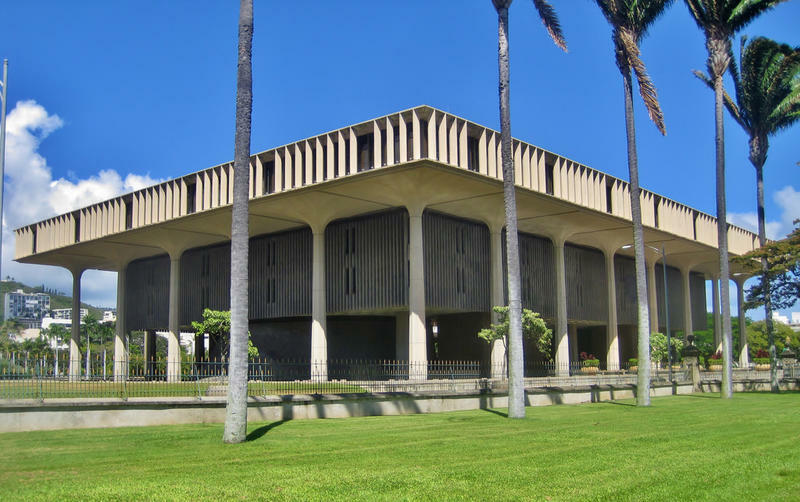 Senator Kouchi declared that rail funding would be resolved in this year's session. The heads of the Legislature revealed their wish lists at yesterday’s opening of this year’s session. And there seems to be little agreement except on the wish for a solution this time around for the project that continues to plague Oahu. 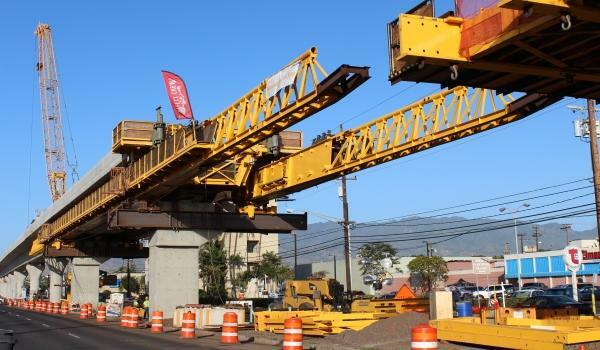 Civil Beat reporter Chad Blair has today’s reality check of Kouchi, Souki and rail. 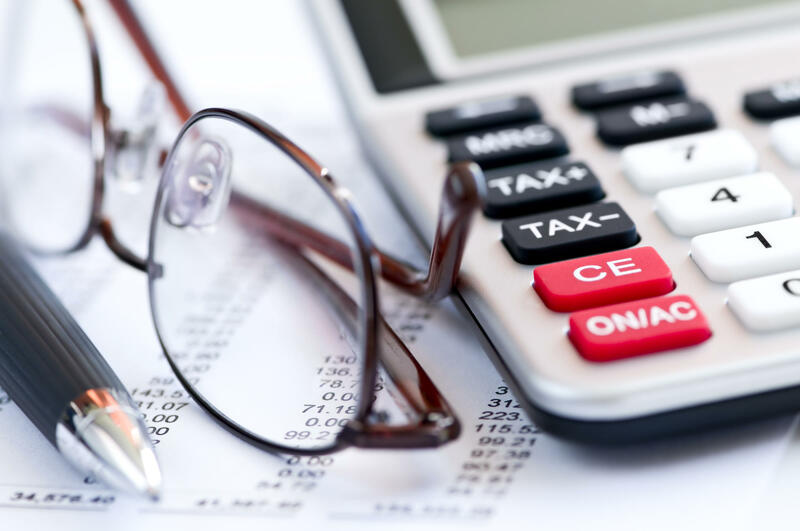 Funding for rail, as well as public employee retirement, combined with revenue declines are driving the uncertain fiscal situation. It’s easy to say that every legislative session is about money, because in the end, well, it is. But it’s how lawmakers decide to spend it that defines what we value. With state revenue now projected to be 155 Million lower, the stakes are higher over how your tax-paying dollars are spent. We asked Tax Foundation of Hawaii President Tom Yamachika for his analysis. Lea Ingram and some of her quilts. Traditional Hawaiian quilting was once a kind of secret family art form, with each ‘ohana closely guarding its traditions. Today it’s an intersection of techniques brought here by missionary families with long-established Hawaiian tapa traditions. 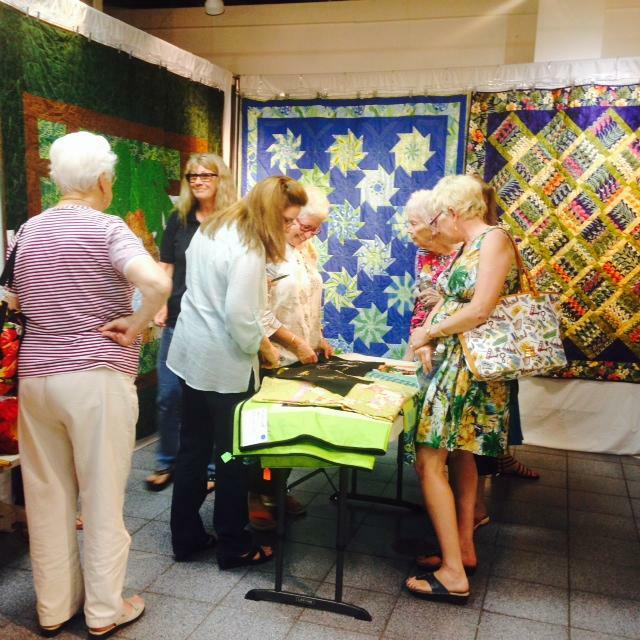 Kauai fabric artist Lea Ingram is an heir to all of them and we’re going to look ahead to the 2017 Kauai Quilt Show. 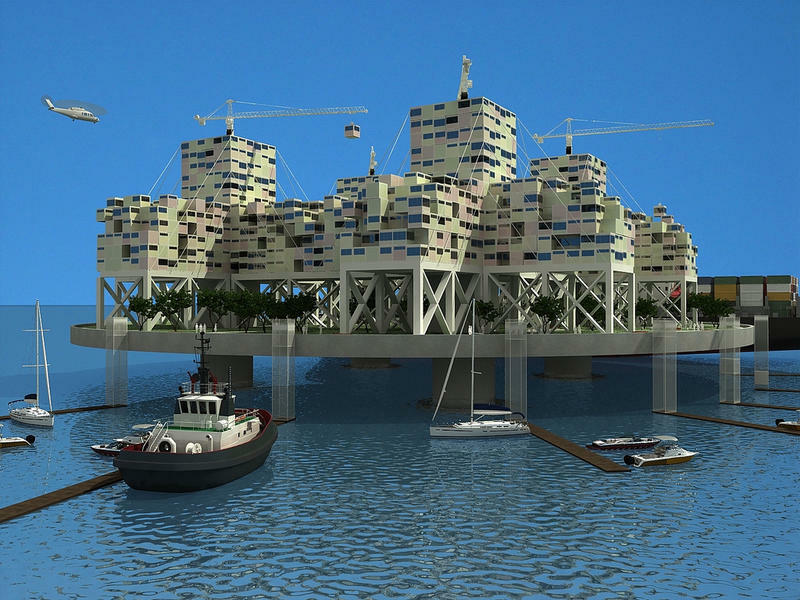 This week, French Polynesia signed a memorandum of understanding with a San Francisco based group to study the engineering and legal support for a floating city. This is the latest variation in efforts to construct libertarian utopias, free from taxes and government regulations. We have details from Neal Conan in today’s Pacific News Minute.